The Great War, or as we now call it - the First World War, began on 4 August 1914. By the end of that year all movement of the armies had ceased and the war had become an immobile trench war. In 1915 several attempts were made to forcibly achieve a decisive breakthrough. However, these attempts all failed and only lead to terrible losses. Both parties were convinced that 1916 would be the year of their crucial victory. Germany expected to have this at Verdun. The allies tried to realise their victory through a joint operation at the river Somme. The German commander-in-chief General Erich von Falkenhayn considered England to be Germany’s most important enemy. He believed England would collapse as soon as France, their most important ally, would be defeated. That is why a target had to be found that would be so important to the French, that they would be willing to sacrifice their entire army. This army would 'bleed to death' (the Germans called this 'weissbluten') and could then easily be defeated. Geographically this had to be Verdun. Of old, Verdun was an important stronghold at the Eastern border. Firstly, because it played an important part in the line of defence, which was built after the French - Prussian war of 1870. Secondly, it was the Northern gate to the Champagne plain and therefore Paris. Another reason was that Verdun had been able to withstand the German attacks of 1914. It was an important garrison and had a fortified citadel. Three main characters in the battle of Verdun: from left to right: Von Falkenhayn, the Crown Prince and Pétain. On 24 December 1915 the final decision was made to attack Verdun. In total secrecy preparations were made by the Germans. These plans were hardly known to their other army units. The plan was to crush the French front-line completely with a massive artillery bombardment. Over 1,200 German guns were made available for this. Verdun was a garrison town surrounded by a double ring of fortresses and fortifications situated among nearly impenetrable hills. However, the defence of Verdun had been seriously neglected since the beginning of the war. In 1915 the French supreme command judged the Verdun fortresses to be useless as the heavy German artillery had just destroyed similar fortresses in Belgium to pieces. The French fortresses were stripped from their guns and only a few man remained. 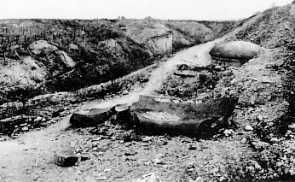 The lines of defence surrounding Verdun were neglected as well. There had been repeated pleas for reinforcement, especially when it became obvious that the Germans were preparing an attack. However, the French headquarters were not interested in the pleas: 'Verdun is not an important target', was their judgement. German troops were placed in position in the night of 11 to 12 February 1916, but because of the terrible weather circumstances the attack was delayed until 21 February. This delay probably saved France from the defeat as the two French divisions that had been hastily added to the Verdun front-line could be placed in position and defensive improvements could be made at the last minute. The attack started on 21 February on the right bank of the Meuse with the heaviest bombing that had ever taken place in a war. It lasted over 9 hours and was the most horrible that man had ever seen. In the following days the Germans did not progress as much as they had expected, but on 25 February the unbelievable happened: the Germans occupied the most important fortress on the defence line. This fort Douaumont had been considered impregnable. Verdun lay within reach. The French headquarters appointed general Phillipe Pétain commander-in-chief of the Verdun front. He immediately ordered the formation of a line of defence on the right bank of the Meuse. This line had to be formed between the remaining fortresses which had to be defended at any cost to buy the time needed to build fortifications. Especially on the left bank more artillery was quickly set up to check the German advance. The Germans were stopped near the village of Douaumont which is very close to the fort. Between 26 February and 2 March the French fought over the village only to give it away to the Germans in the end. However, general Pétain did win something: the necessary time to fortify the French defence. 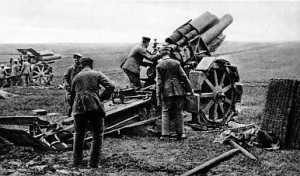 It became clear to the Germans that the attack of Verdun was coming to a halt and that the French artillery on the left bank had to be destroyed first. The German army command decided to attack both banks of the Meuse at the same time. The most important aim of attack on the left bank was the Bois Bourrus. The French artillery was concentrated here. Before this Bois could be attacked a hill called Le Mort-Homme [Dead Man Hill] had to be taken. The attack started on 6 March 1916. At first the Germans advanced well, but Le Mort-Homme was fiercely defended by the French and the Germans were more and more bothered by gun fire from a nearby hill: the Côte 304 [Hill 304]. That is why they decided to take the Côte 304 first. The attack started on 3 May with 500 guns thundering on a field of not even a square 2 kilometres. Under terrible circumstances and suffering horrible losses the Côte 304 and then Le Mort-Homme were taken by the Germans at the end of May. After three months of continuous warfare the Bois Bourrus was theirs. Two days later, 8 March 1916, the battle started on the right bank. The aim of attack was the fortress of Vaux that had by now been fortified and could be counted among the strongest forts of war. The German attack was immediately put to a stop by the heavy French gunfire. The intense fights over the fort lasted until 19 March but nothing was achieved. 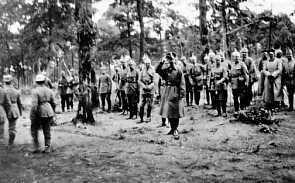 The German troops were exhausted and the battle was therefore deferred. By the end of April a crisis had developed in the French army command. Pétain was kicked upstairs and replaced by general Nivelle per 1 May 1916. He was known as a merciless basher who favoured the frontal attack. His right-hand man was general Mangin; a ruthless front general who was known as 'the slaughterer'. Starting from 1 May fort Vaux was attacked; an earlier German attack had failed. There was a lot of French resistance and when an explosion occurred on 8 May in fort Douaumont taking the life of over 700 Germans it was decided to delay the attack and concentrate the attack on the left bank. However, the Thiaumont fortification and fort Vaux had to be taken first. Surprisingly, before a German attack could take place the French undertook a counter attack of fort Douaumont. Two days of bitter fights followed. 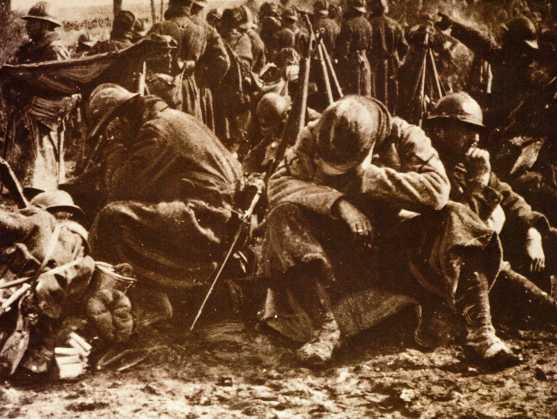 The attack was warded off by the Germans and only a few French soldiers returned to Verdun. Fort Vaux was taken on 7 July after heroic resistance by the French major Raynal. French attempts to recapture the fort ended in pointless massacres. The next major German offensive was aimed at the occupation of the village of Fleury and fort Souville. From these points the Germans intended to advance to Verdun. 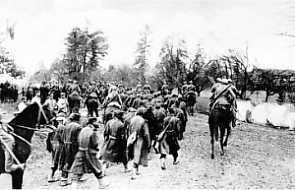 On 23 June three German army corps attacked. This was the first attack in which phosgene gas was used. 230 Guns fired a total of 110,000 of these poison gas shells. This did not have the anticipated result and the German attack came to a halt. The attack of fort Souville failed completely. The Thiaumont fortification and the village of Fleury were the sole objects of occupation. The attack of Verdun had failed again. At the same time the French found themselves in a crisis situation. 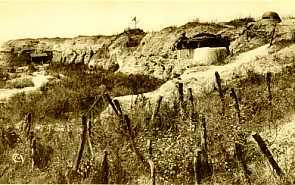 Verdun was under heavy attack: there was even some thought of clearance of the right bank of the Meuse. In the nick of time a German breakthrough was stopped due to the individual actions of French officers. These officers independently organised the defence at the front and stood their ground. 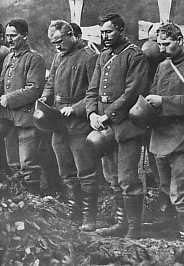 The German army commander Von Knobelsdorf intended to undertake a last attack of Verdun, but before this could take place the French mounted a counter attack, causing the preparations of the planned attack to be postponed. There were still bitter fights fought over Fleury under the most abominable circumstances. The planned German attack took place on 11 July. The French answered with violent gunfire and soon stopped the attack. Nevertheless, the Germans did have one victory: the village of Fleury was finally theirs. However, the German reserve troops that had to force a breakthrough did not show and the French were able to bring fortifications at the last moment to stop the German army. There was another attempt to take fort Souville, but that failed as well. The German attack of Verdun had failed again. The battle of the Somme started on 1 July 1916 and as a result of this the activities at the Verdun front were temporarly halted. The German troops were instructed to be economical with munitions. 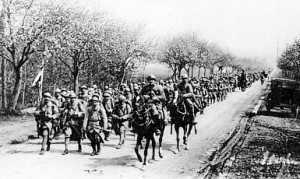 More and more troops and artillery were transferred to the Somme and the eastern front where a large Russian offensive had started. The battle at Verdun continued unrelentingly although on a smaller scale. 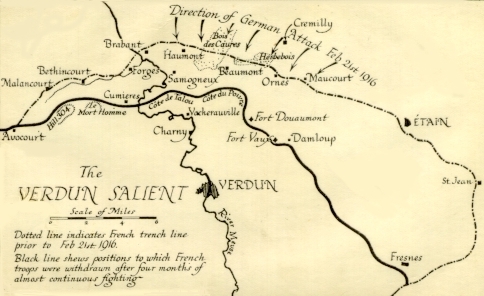 General Mangin started a large offensive at Fleury on 15 July, but this attack was stopped causing numerous French losses. The German army command decided to attack once more, to consolidate the front between Fleury and the Thiaumont fortification. The attack begun on 1 August and lasted on and off until 6 September. The advantage alternated between the Germans and the French, but neither party achieved any real success. The fighting zone was the area between fort Souville and the Froideterre fortification. This area had turned into a quagmire with shell holes where both sides took turns in attacking and counterattacking. The battlefield was covered with casualties; there was no longer one front-line. The troops on both sides survived under ghastly circumstances. There was an enormous shortage of drinking water, munitions and food. The losses on both sides were enormous. As of 6 September rest had (temporarily) set in at the battlefield of Verdun. On 23 August the message was received in the Stenay headquarters that general Von Knobelsdorf had been relieved of his duties. The criticism on Von Falkenhayn increased as well. The German Kaiser decided that Ludendorff and Von Hindenburg should be the new commanders-in-chief, as they had proven to be worthy of this position at the eastern front. Von Falkenhayn was posted to Rumania. The first action of general Ludendorff was a cease fire at Verdun, but the French army command had set their mind on striking back. On 21 October 1916 the French attack on the right bank of the Meuse started with a heavy bombardment over a part of the front-line that was seven kilometres wide. 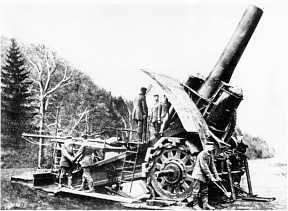 At the same time fort Douaumont was bombed with a new sort of 400 mm gun. On 24 October the French attackers stirred: the new system of the moving fire screen [barrage] was working excellently and the German front was rounded up. 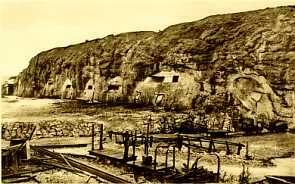 Two direct hits found their way into the heart of fort Douaumont and caused enormous damage. The Germans left the fort because it was considered indefensible. Therefore it came into the hands of the French rather easily. On 25 October fort Vaux was attacked. German machine-gun fire destroyed the trench waves of attack every time. After this the attacks of fort Vaux were ceased. When the German army command concluded that the fort was in danger of being separated from the German front, it was decided to clear the fort and blow it up. The French could occupy the ruins. After this it stayed quiet on the front for a long time. The French decided to attack once more to force the Germans back to their original positions of February 1916. On 11 December the French artillery fire started again and on 13 December the French advanced behind a rolling artillery barrage. The Germans clung on determinedly. The French losses were huge but finally the front broke. 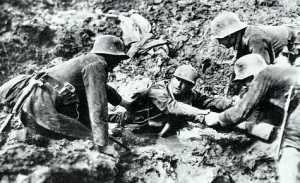 On 19 December 1916 the German army command concluded that they had suffered a defeat at Verdun. The German army had once and for all been pushed back to its original positions. The battle of Verdun had come to an end.